Unfortunately the "Free How to Train Your Dragon 3 Movie Ticket (Worth $10)" offer is no longer available. 3. 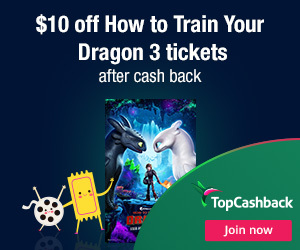 Add 1 "How To Train Your Dragon 3 Movie Ticket" priced for $10.00 to your cart and checkout as normal. Offer valid through March 1, 2019.